One year in, is the infrastructure levy working yet? As anniversaries go, the apprenticeship levy’s first is one the Government might want to forget. Intended to tackle skills shortages by requiring businesses with annual wage bills of ?3m or more to pay 0.5pc of their payroll cost into a training fund, which they can then draw on, the levy has faced heavy criticism since its launch last April. Complaints include it being too bureaucratic and inflexible, and it was launched without the mechanisms needed to function being ready, meaning it has actually put off companies from taking on apprentices. Others say it’s just a tax on businesses, and unlikely to deliver the skills the workforce needs. Official figures show the complaints may be justified. In the first quarter after the levy’s introduction, there was a 60pc plunge in the number of people starting apprenticeships as companies struggled to get to grips with the new system. Declines have eased since, but hopes the levy – which covers 20,000 businesses and will raise more than ?2bn a year – would fix the skills shortage look misplaced. Data obtained under the Freedom of Information Act by the Open University found that of the ?1.39bn paid into the levy by English businesses, just ?108m has been drawn down, indicating that employers are struggling to navigate the system. “It’s been an absolute disaster,” says Alan Tuohy, managing director of Playfords Building Services. “It’s not so much a tax as a money recycling scheme. In the past I told training bodies we wanted to take on apprentices, they provided some for us to interview and we’d take on who we wanted. All we had to do was pay them and send them to college one day a week. The rest was handled for us by the training bodies. Chancellor Philip Hammond acknowledged the issue in his spring statement, saying ?80m would be diverted to SMEs to help them find their way through the system. With everyone having to pay it, you’re getting big companies creating apprenticeships in things like customer service and cleaning because they can set up their own in-house training to make sure they get back what they pay in. 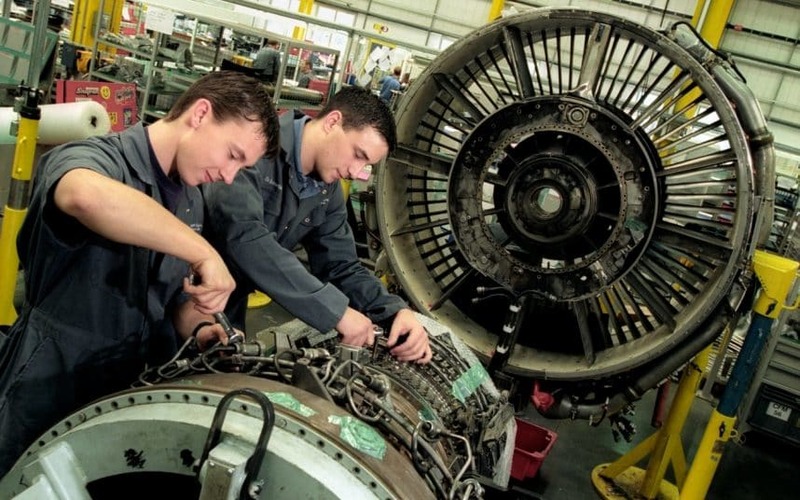 Those jobs are essential, but are they really apprenticeships? While the principle of improving training is correct, Tuohy thinks the levy risks becoming a “massive failure for industry, but a massive success for government, because it can keep all the unspent money”. Engineering and manufacturing have long been the heartland for apprenticeships and it is from those sectors that some of the harshest criticism of the levy has come. Key problems cited by EEF include levy funding not covering the high cost of training in technical fields. The maximum funding available to be spent on a single apprentice is capped at ?27,000 but some firms say they spend ?100,000 on an apprenticeship. Another issue is that new apprenticeship standard programmes are not ready, meaning companies can’t spend levy funding. The problem is acute in high cost sectors – such as engineering and construction – where the upfront funding required to set up a new training programme can prove a roadblock. “It’s far easier for training bodies to deliver lower cost and lower risk apprenticeships than to offer a four-year engineering apprenticeship, which has high upfront costs,” says Davidge, adding that under the levy training providers are paid by monthly instalments. EEF isn’t the only body to report problems. The Institute of Directors says its members are having similar issues, and both groups are also concerned about the 24-month limit companies have to claim funds they paid into the levy or risk losing them. “For a lot of companies the apprenticeship standards won’t be in place within 24 months so they’ll lose their money,” says Seamus Nevin, IoD head of policy research. “Another change that needs to be made is increasing the 10pc cap on the amount levy payers can transfer,” he says. Being able to shift the levy would also tackle the problem that training tends to be focused around big centres, with some regions not having anywhere to spend the funds. Rather than just criticising, EEF and IoD are proposing measures to make the levy work. Their suggestions include reviewing maximum funding and incentives to encourage training in areas where the UK has specific skills shortages, such as science, technology, engineering and maths. Other solutions to problems include allowing employers and trainers to negotiate their own payment schedules, being able to transfer more of what they pay in to other companies and ending the time limit that means they could see their contributions to the levy effectively evaporate. The BRC is not alone in questioning the 20pc requirement, with others arguing this is an arbitrary level and much relevant training can be carried out in the business. For all the criticism, business is not fundamentally against the level. 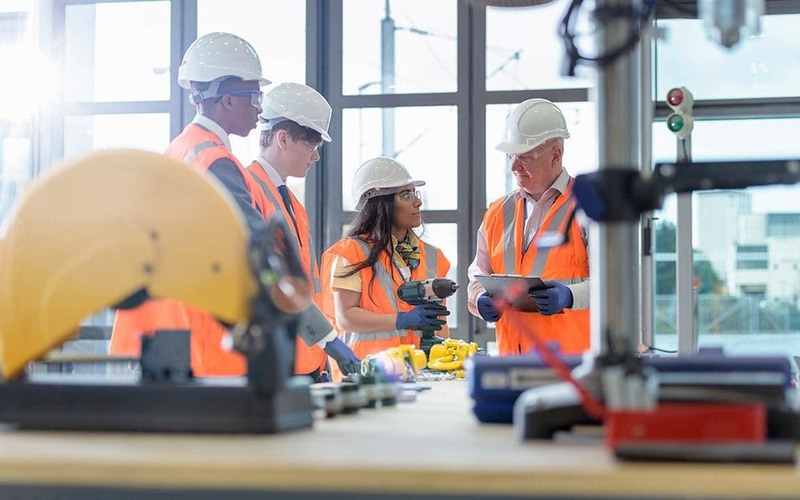 EEF’s Davidge agrees that training, however funded, can only be a good thing for the wider economy as long as it is in areas where the UK does have skills shortages, rather than lightweight apprenticeships to hit the Government target of 3m people starting apprenticeships by 2020. One company taking a more positive view of the levy is Shropshire-based engineer Grainger & Worrall.